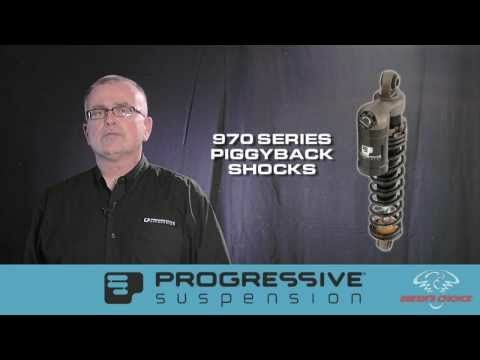 Inspired by racers, riders and those that demand more of their bikes than weekend coffee runs, the built in the USA 970 Series shocks combine a high pressure gas monotube design with deflective disc damping routed through two unique circuits and adjustable for compression damping via an easily accessible knob. Every shock is hand-built, tuned and dyno’d and come with a lifetime warranty. Applications for Dyna, Sportster and Indian Scout with more on the way!